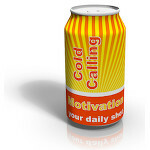 Self-hypnosis audio downloads in MP3 format for boosting motivation and learning skills. Note: like me, I’m sure you want to know exactly what you are listening to, so no subliminals are used in these recordings! This ‘dual ­induction’ hypnotic audio is designed to help you decide what you want, install your goals into your future, and stay focused on your goals once you have set them. Purchases are handled by payhip.com. WordPress specialists with great support!